All’s well that ends well. This is dark and brooding but a calm delight slowly emerges, a redemptive story in the glass. Closed and murky when I first opened the bottle, on day 2 it finally started singing. The nose, once opened, has depth with dark cherry and fig shaded by earth and leather aromas emerging from a dark warren where dwells cautious power. The palate is full bodied with leather and coffee, and shows persistent fruit power all the way through a finish in which nicely integrated wood builds layers without appearing obvious. Supple without being lush, the core of dark fruit is slowly encircled by a sparkling tide of firm, peppery tannins and modest acidity that lift the mood creating a lengthy, elegant resolution, an elegy with a Hollywood ending. A wine made whole by its lovely finish. Dense, intimate, introspective like Bjork’s Hidden Place. Technical Notes: Aged 20 months in 50% new oak. Perissos Vineyards, located in Hill Country northwest of Austin, is one of the few wineries in this region using mostly estate-grown fruit. (Most Texas grapes are grown in the high plains near Lubbock). Dedicated to exhibiting the distinctiveness of Texas fruit, especially from their 16-acre vineyard which, unique in this region, rests on decomposed granite, Perissos has been making award winning wines at this location since 2005. Of the roughly 30 wineries we have visited in Texas, Perissos is among the very best in overall quality and this Tempranillo is a standout. Abundant aromas of cherry and tobacco mingle with rosemary, forest floor and hints of fennel—there is even a shy touch of charming funk to complete this variegated portrait of fragrances. It’s rich and juicy upfront, and then turns high-toned and edgy as the midpalate announces electric minerality animating the licorice-tinted finish. Soft tannins provide a persistent background presence. Polished and stylish yet lively with soaring kinetic energy, this wine is as irresistible as a pair of well-matched, eager, young lovers. Higher apparent acidity than most versions of this grape but well balanced with rich fruit, the winemaking shows a deft touch with the oak, thankfully avoiding the curse of woody Tempranillo. Pat Benatar’s Love is a Battlefield has the blend of style and altitude to match this wine. Tempranillo is the grape most wine-focused Southern Oregonians are excited about. It is well- suited to the short, hot growing season here and no other American wine region has claimed it as their own. Given the interest in this grape, I decided to do a blind tasting comparing three top Tempranillos from Umpqua Valley with the most impressive from the Rogue Valley. As a comparison of these regions this is obviously a very limited test given the small sample size. The fact that one of the entries is blended with about 20% Cabernet and has an additional year of bottle age means we lack a grapes-to-grapes comparison. But the results are nevertheless interesting. All wines were initially tasted single blind to get initial tasting notes and a provisional ranking. Then each wine was tasted non-blind over several hours to gain greater insight. The winner? A very close call between the top two. Winemaker Dyson Demara made this wine to be a “spittin’” image of Ribera Del Duero’s Vega Sicilia Unico. Since Vega Sicilia happens to be one of my favorite wines it’s not surprising that I picked this out in the blind tasting as the standout. 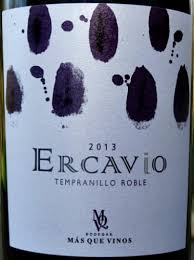 Good aromatic intensity but what sets it apart is depth, a wine that promises mystery with its flavor. Aromas of dark fruit, fig and mocha are set against a background of gentle vanilla and mint emerging with aeration, and indefinable complexity that seems to hover just below the threshold of detection. The palate reveals a long, seamless evolution from dusty earth with coriander notes through waves of cola to a broad-shouldered chewy finish with top notes paradoxically suggesting cool, mountain spring water. Serious, stately but with fortitude and intimations of the mystical. Blended with 20% Cabernet Sauvignon 93 pts. A very close second, this has bright, fresh cherry aromas, standing out against a duo of leather and damp leaves and developing coffee with aeration. Great clarity and focus. The palate is juicy, broad and lush but gathers intensity at midpalate with a rush of crisp acidity. The tannins unfurl gently persisting as a low level prickle, supporting a long peppery finish with electric minerality closing the proceedings. I love the finish on this wine. It achieves power without relying on excessive tannin. An extrovert but dignified and graceful. This wine was fermented and aged in a large 900L French cask, very old school. 92 pts. Dark plum on the nose with enticing leather and wisps of smoke. A note hovering between herbal and floral adds complexity but the aromas are more muted than the competitors. This wine has a darker aspect, earthy, and brooding with lots of medium grain tannin, which gives it some rusticity. The finish is juicy but shows too much wood. It needs time to soften. Abacela was the first to plant Tempranillo in this region in 1995. 89pts. What an odd experience with this wine. In the tasting room it was very impressive showing great intensity and originality. During the blind tasting it leaped from the glass with more aromatic intensity than all the others in the line up. But as I continued to sample the wine I became less enamored and the wine started to cloy. Explosive, new leather, smoked meats and caramel on the nose promise complexity. And in the mouth, the first impression is round and full with refreshing acidity complementing black cherry. But a harsh tobacco flavor pushes to the fore midpalate that throws the wine out of balance, giving way to a finish of fine grained tannins but with some exposed wood and bitter wood tannins that become more prominent with aeration. Bombastic and then turning fierce, with 30 months in French, Hungarian, and American oak, 35% new, it just seems overdone. Points for originality. 88 Pts. 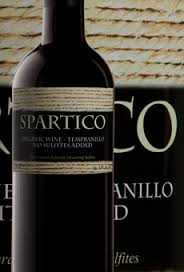 Tempranillo has a lot of potential in Southern Oregon but getting the oak right is a challenge. 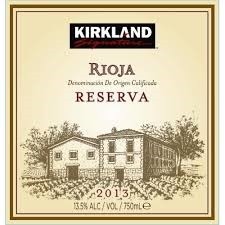 I wrote recently about the changing style of Rioja wine. With the use of more French oak and used barrels, some Rioja wines are becoming more fruit forward while others continue the more traditional style of prominent American oak influence. This wine is definitely old school. Cherry aromas are supported by classic earth, vanilla, and dill pickle notes with vague floral hints playing hide n’ seek with smoke. On the palate the wine lacks concentration showing sour cherry with a prominent lemony note that is unusual. The light to medium body is enlivened by racy acidity. The tannins, medium grain and a little sandy, steer the dry, herbal finish. The zealous lemon notes make this interesting but for me it is slightly out of balance. The acidity too prominent but it is a flavorful if rustic wine. A “natural” wine for around $10 found at the supermarket? I was skeptical but I quite like this wine for the price. There is no official meaning of “natural” but the use of organically grown grapes, no added sulfites, native yeasts, and no new oak are four of several criteria that this wine satisfies. The lack of added sulfur is especially unusual in a large production wine because sulfur protects the wine from bacterial spoilage and oxidation. Making wine this way requires herculean efforts in the winery to keep things clean and minimize oxygen exposure. Regardless of what we call it, this is a tasty, lively and refreshing wine from Utiel Requena, the Spanish wine region in Valencia. 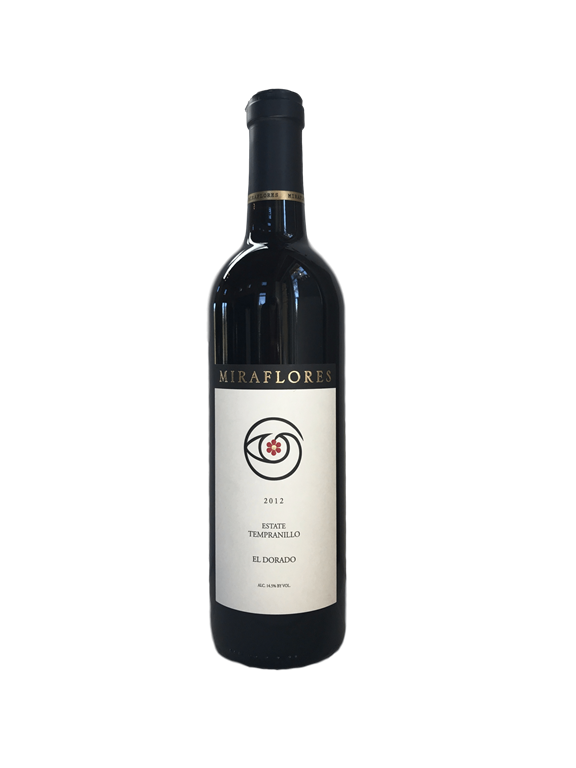 Dark plum with dusty earth, floral notes and crushed rock aromas make for an compelling nose. The juicy medium weight palate is spare but elegant with an airy mouthfeel, bright acidity and a bit of chew to the tannins. Well balanced and vivacious, this is a lovely everyday wine that will go well with a variety of foods. The last few times I’ve purchased from the organic wine section of the market I’ve been pleasantly surprised. Innovation and solid winemaking seem to be the rule there. Bodegas Iranzo has been producing organic wine since 1994 and they trace their history back to the 14th Century. I love the nose on this. 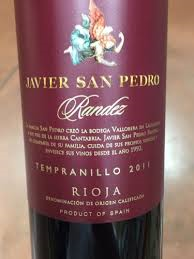 The characteristic Tempranillo leather topped by vanilla and cinnamon notes push cherry to the background. Complex with good intensity. The only drawback is the sting of some distracting, sharp alcohol. The palate is austere with cherry, hints of wood, and just the beginning of the sherried, earthy notes of a wine headed toward senescence. It is a good thing to find a wine at that tipping point. There is not quite enough concentration to balance the considerable tart acidity but there is nevertheless enough depth to hold your attention and a supple mouthfeel to savor. 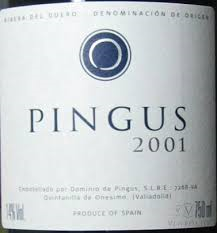 Age has softened the tannins but the wine still finishes strong with a bitter herbal flourish. 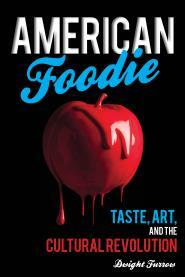 A good everyday food wine. The Spanish take aging wine seriously. This one has a year in the barrel and 6 years in the bottle; it’s a great example of how age can add depth to a wine and at a great price.